The Progressive Right: No Taxation without Representation! January 23rd, join Canadians Against Proroguing Parliament and protest the undemocratic move to "suspend democracy and Parliament". Keep an eye on the official event details for updates. Canadians Against Proroguing Parliament - Rally! 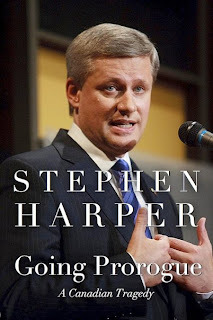 Let's stand up together and make our voices heard-Parliament should resume on January 25th 2010 with or without Harper! Specific details for each city to follow soon, we are just coordinating details at the moment with various volunteers across the country. Generally speaking protests in major cities will be held at government legislative buildings, in smaller cities locations will be announced well in advance of the protest. Protests are peaceful demonstrations, generally with guest speakers, music and entertainment. These events are family friendly. DATE: January 23rd at 1pm local time. Wednesday, January 13 @ 630pm. Location TBA-email NoProrogueHFX@gmail.com (please put PLANNING in the subject). Time: 5 - 6:00 p.m.
Saturday January 23rd @ 1pm outside the Elijah Smith building (300 Main Street, Whitehorse, YT). -Special events include speakers, MPs in attendance, and possibly live music (weather permitting). This is your chance to make your voice heard Canada. Stand up for democracy on January 23rd! 5) Spread the word to friends, family, and coworkers! The more Canadians we can get on board, the stronger our voice will be. I hate to break this to you, but our government can't raise taxes or spend money without a majority of votes in the House of Commons, and if they lose one of those votes, they lose the government. Democracy doesn't get any better than that.